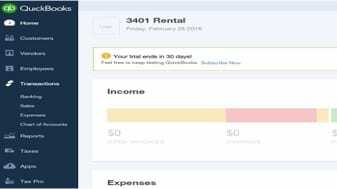 As a Small Business Consultant and Tax Professional who specializes on the recently self-employed/ sole proprietorship, I get asked very often “what is the BEST accounting solution for my NEW business”? I am sure you can assume what my response is… “It depends”. The reason I provide that response is because it is critical that I get a better idea on what factors are important to my client before I can recommend an accounting solution that will best fit their needs. Today, the accounting professional is focusing on a more trusted advisory role and for this reason, it’s important we LISTEN to our client’s pain points and unique needs before advising them on yet another solution to use for their business. After researching several online accounting solutions that met all of these qualifications including QuickBooks Online (Simple, Essentials, Plus), QuickBooks Self-Employed, Wave, Xero, Zoho Books, FreshBooks, Kashoo & Sage One, I have narrowed my TOP 3 Choices to QuickBooks Self-Employed, QuickBooks Online Simple Start, Wave (in no particular order). I will list the advantages & limitations for each Top 3 solution below, however, before you read ahead, please use the above list of programs as a good reference for other great accounting solutions that may better fit your business’s unique accounting needs. What Makes Each Top 3 More Appealing for YOU? The following additional features may persuade you one way or the other in your decision on which Top 3 accounting solution is a better fit for you. What Makes Your Accountant Happy? One important feature which is important to bring up AND is the biggest benefit for your accountant is Shared Accountant Access. Both QB Simple Start and Wave allow for the user to create a special accountant login access so that your trusted advisor could have anytime access to your accounting. At this time, QB Self-Employed does not provide a shared access option. Customer support is limited – Wave and QBSE provide only email support at the moment However, if you want to upgrade to live chat, Wave allows you to do so for $9.95 per month; customers who would like phone support can upgrade for $19.95/month. For Wave Payroll and Credit Card Processing “paying customers”, they receive an automatic upgrade to the Premium phone support service, at no additional charge. At the end of the day, Your Accounting Solution needs to be the best fit for you! If you are focusing on an accounting solution that will allow for you to project your income and calculate your quarterly estimated taxes, then QBSE might be your choice. However, if your startup business costs are of concern to you, then FREE Wave might be the way to go. And if you are just starting out but foresee your company growing quickly and in need of a more scalable accounting solution, then QB Simple Start will definitely be your first choice. 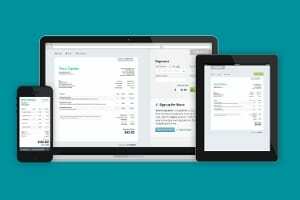 Regardless of what you decide, ALL of the TOP 3 online accounting solutions will allow for income/expense tracking, bank/credit card feeds, year-round profit analysis, and preparation for year-end taxes. So whichever you choose, you will be better off then where you were yesterday!